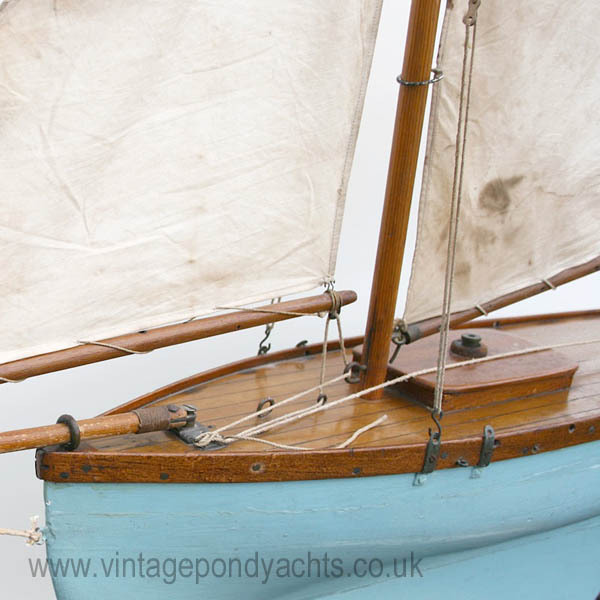 This is a fabulous example of an early pond yacht, it looks to be of traditional, “bread and butter”, wooden construction with a heavy lead keel and lead weighted rudder. 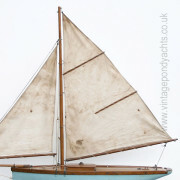 It comes complete with two sets of sails which, although marked, are in remarkably good condition and have been beautifully sewn. The second set, shown rolled up in the accompanying images, is slightly smaller and not so marked. The wooden deck is scribed / lined and all associated woodwork – hatch, booms, mast, etc. are varnished. 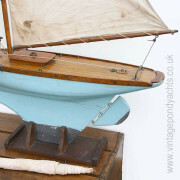 There is no evidence, so far as I can tell, of plywood being used anywhere which, allied to the fact this model has the weighted rudder, would also point to it being an early example. 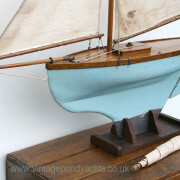 A beautiful early wooden, non commercial, pond yacht with fabulous patina and charm. 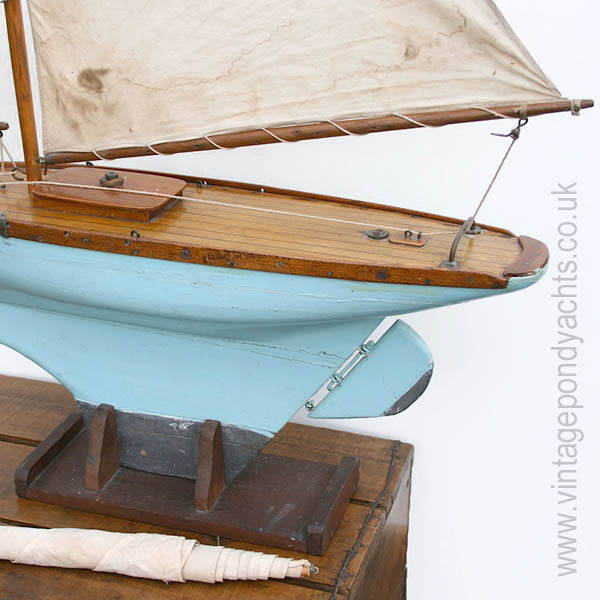 Believed to be pre first world war this model sailing boat comes with some history having been passed down through the original builders family until now. 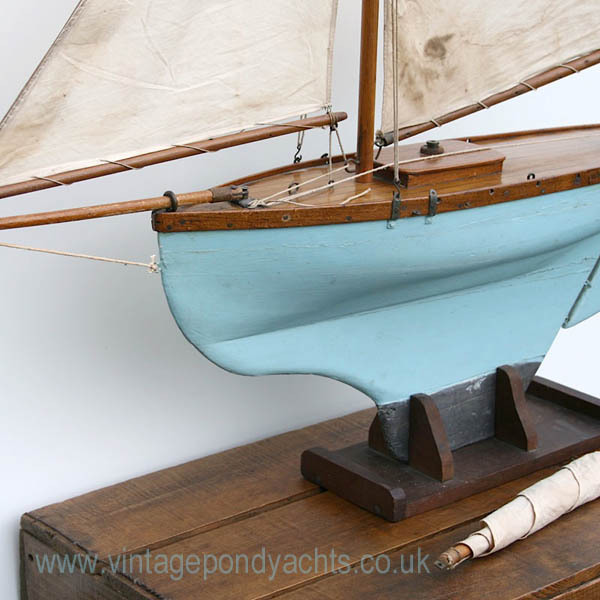 At approximately 31″ (79cm) long x 43.5″ (87cm) tall it’s an impressive yacht that displays well and is sure to be a focal point in any room. It’s rare to find early, unmolested examples of these yachts. 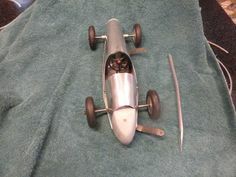 This model looks complete, original and very much as the builder* intended aside from the delightful aged patina that can only be acquired over time. 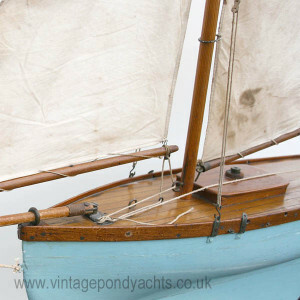 There is some cracking to the paint where the wooden keel joins the actual hull (please see images) but the wood is sound, nothing is loose and details like this add charm and character to the piece. 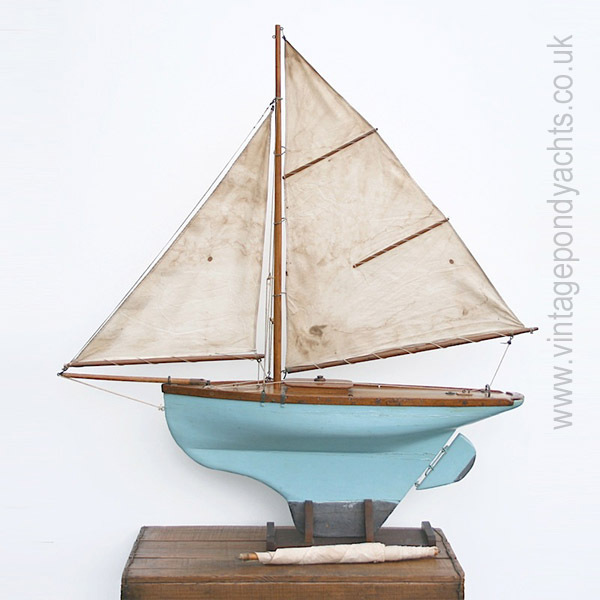 *It’s always nice to know the provenance of such models so details of the original builder together with his address in London at the time of the build will be supplied with this model.